Boca Motorcycle Accident Attorney Robert Gluck from the Law Offices of Robert E. Gluck, P.A. can help you with your injury claim. if you have suffered an injury, whether directly or indirectly, by some type of motorcycle or motor vehicular accident, your Motorcycle Accident Attorney will take the necessary steps to get you the compensation you need and deserve. Robert Gluck is completely devoted to personal injury cases and is known for his extensive experience and expertise. If you have sustained any injuries as a result of your motorcycle accident, your Attorney must first provide evidence of negligence. Negligence occurs when someone does not meet the standard of care necessary to avoid injury to others. If your attorney can prove negligence, you have a legitimate case and can move forward with it. If you get into a motorcycle accident and are injured, it's important to contact Robert Gluck at the Law Offices of Robert E. Gluck, P.A. immediately. As a Boca Motorcycle Accident Attorney, Robert Gluck will need to do a thorough investigation into your claim and gather all of the necessary evidence so he can prove negligence. Included in the investigation will be locating and taking statements from witnesses, locating and securing video footage of the accident, taking photos of the accident scene, assessing any damage, and gathering any other evidence necessary to help you with your case. 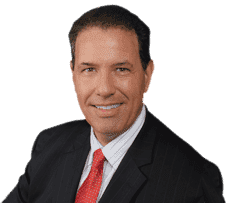 Robert Gluck has been practicing law since 1989 and will take all the steps needed to ensure the party at fault is held financially responsible for your injury. You shouldn't have to stress about your medical expenses and your Motorcycle Accident Attorney will do everything in his power to give you peace of mind so you can heal your injuries and move forward.